2. 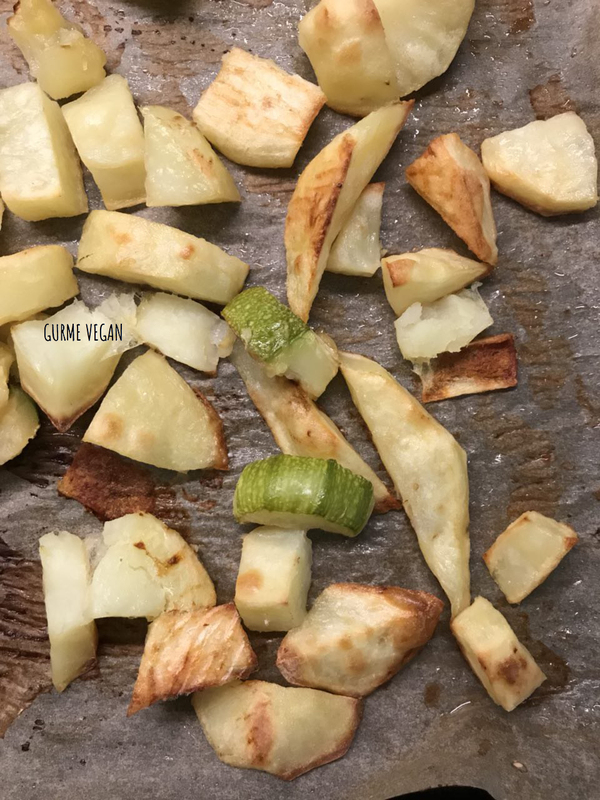 Peel and cut potatoes and zucchini into chunks. Place onto the baking tray with oily sheet. Spread 1 tbsp macadamia oil over them. 3. Roast them for 30-40 minutes until golden browned. 4. 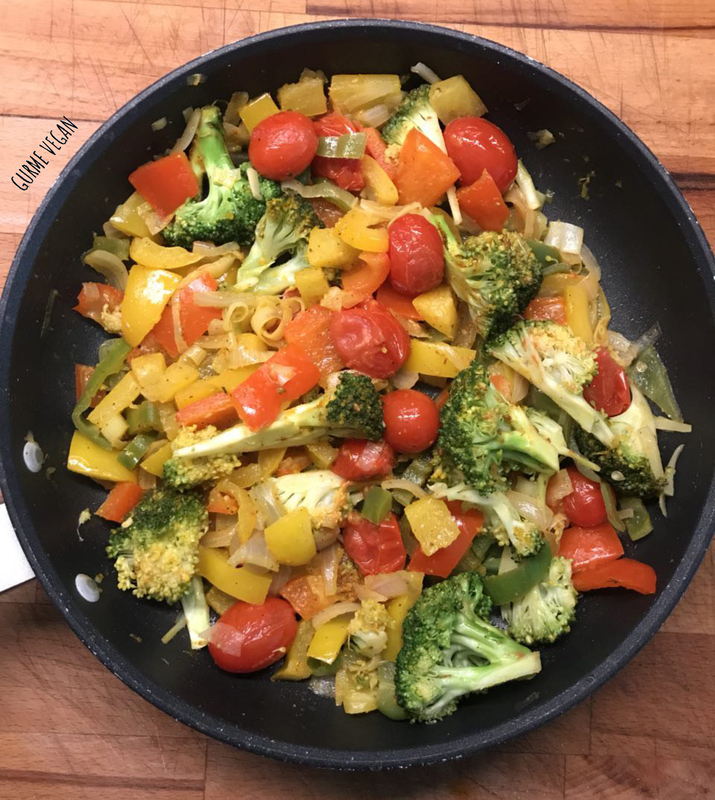 To make vegetable mix, chop broccoli, onions and yellow, red, green capsciums and add them into a pan, caramlize with 2 tbsp macadamia oil for 5-6 minutes. 5. To make curry sauce, in a small bowl mix coriander, curry, salt, tangerine juice, ginger and chili pepper. 6. 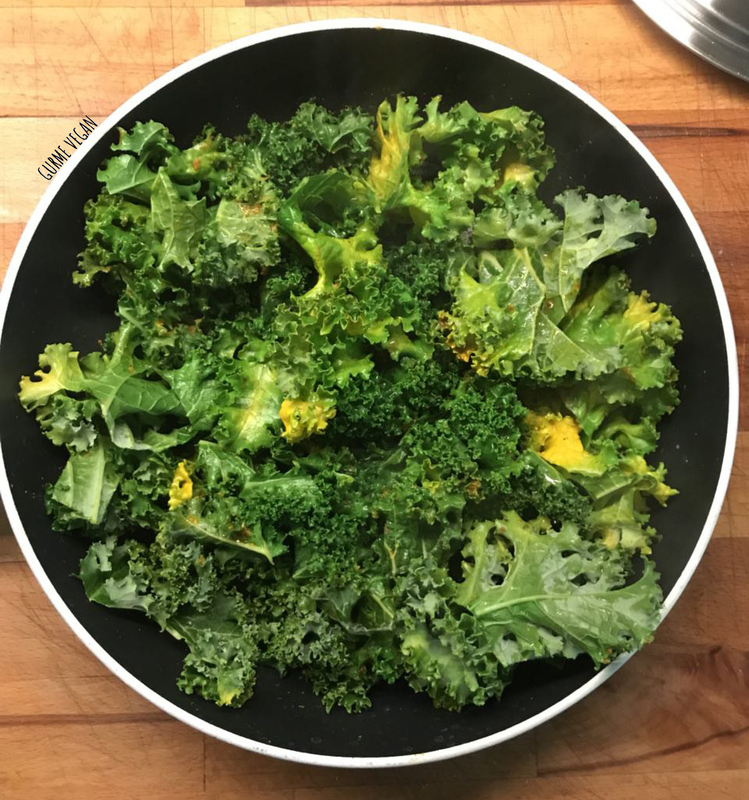 Place kale pieces in a large pan, drizzle 1 tbsp macadamia oil, and pour 1 tbsp curry mix sauce over them. Toss on high heat for 3-4 minutes. Set aside. 7. 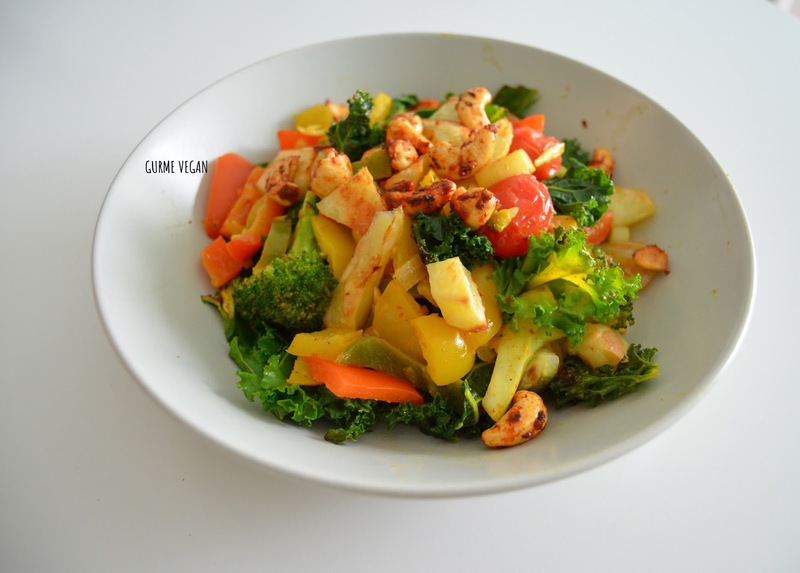 Pour remaining curry sauce over the vegetable mix, stir and mix well. 8. In a small pot, mix cashews with 1 tsp chili pepper and 1 tbsp water until fried. 8. Remove baking tray from the oven, let cool for 10-15 minutes. 9. Place roasted zucchini and potatoes in a plate. Add vegetable mix and kale leaves. 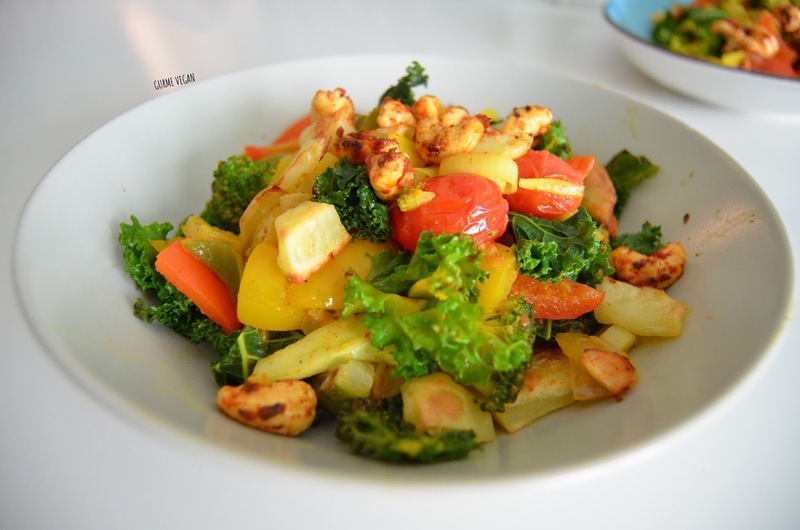 Top with cashews. Serve with cooked quinoa or basmati rice if desired. 10. Decorate with parsley or your favorite leaves.